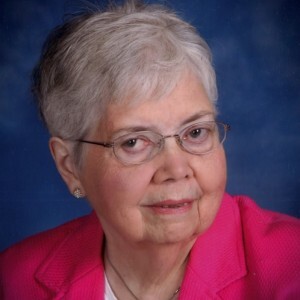 Marjorie Amanda Pellini, 88, of Kennett Square, PA died on Thursday April 4, 2019 at Pocopson Home. She was preceded in death by her husband, David Joseph Pellini. Marjorie was born in West Chester to Emily and Owen Tuel. She was a hostess at Kennett Country Club from 1975-2008. She was a member of Unionville Presbyterian Church. Marjorie enjoyed her family and friends. She is survived by two sons, Ken Pellini of Atlanta, Ga and Alan Pellini of Kennett Square; sister Patricia Tuel of Unionville and brother Thomas Tuel of Parkesburg; and six grandchildren and her first great grandchild on the way. She was preceded in death by brothers Richard Tuel and Larry Tuel and sisters Kathy Tuel and Ginny Griffith. Visitation will be held at from 10:00 to 11:00AM and the Memorial service will be held at 11:00AM on Tuesday April 9, 2019 at Unionville Presbyterian Church, 815 Wollaston Road, Kennett Square, PA 19348. In lieu of flowers, Memorial contributions may be mailed to Unionville Presbyterian Church, 812 Wollaston Road, Kennett Square, PA 19348. Arrangements by Kuzo Funeral Home of Kennett Square, PA.
We thank you for your support during this difficult time. Please share with us your fond memories of Marjorie in the online guestbook below.